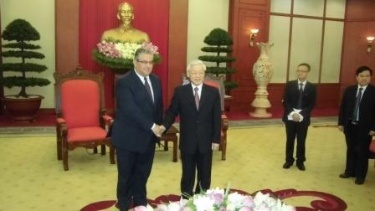 The official visit of the delegation of the KKE, headed by General Secretary Dimitris Koutsoumpas, to the Socialist Republic of Vietnam at the invitation of leadership of the Communist Party of Vietnam was successfully completed on the 15th of July, having begun on Saturday the 9th of July. Dimitris Arvanitakis, member of the Political Bureau, Giannis Gkiokas, member of the Central Committe and Member of Parliament and Giorgos Eltahir, member of the Editorial Board of “Rizospastis”, also took part in the delegation. A meeting was held, in the framework of the visit, in Hanoi with party leader Nguyen Phu Trong, where there was an exchange of information and discussion about matters that are of interest to both parties and the peoples of the two countries. Both Dimitris Koutsoumpas and Nguyen Phu Trong stressed the need strengthen the relations between the two parties, between Greece and Vietnam as a whole and their peoples at all levels on the basis of the historical ties that connect the peoples of the two countries and also on the basis of contemporary tasks. The historical ties between the two peoples developed when the Greek people expressed their solidarity during the many years’ of struggle waged by the Vietnamese people for their liberation against the imperialist intervention of the USA. 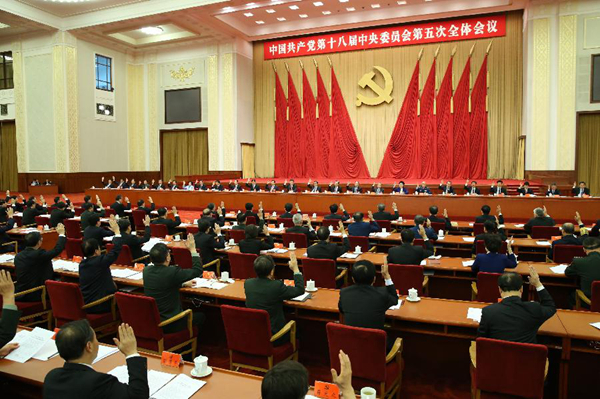 Particular reference was made to the 18th International Meeting of Communist and Workers Parties that will be hosted in Hanoi this year in October. The delegation also met with the Chair of the Commission for External and International Relations of the CC of the CP of Vietnam, Hoang Binh Quan, with the Vice President of the country’s Peace Committee, Nguyen Van Huynh. It also visited the headquarters of the Commission for Economic Affairs of the CC of the CP of Vietnam, where a meeting was held with its Vice Chair, Nguyen Ngoc Bao, as well as with other members of the Commission. At the meeting, D. Koutsoumpas underlined that the differences that exist between Communist Parties on strategic and economic issued should not impede the exchange of views and posed certain concerns and questions regarding the policy of “opening” the Vietnamese economy to the market, private investments, the penetration of foreign capital etc and how in these conditions can the workers interests be protected, and what makes the CP of Vietnam believe that the current high rates of growth will not be followed by a crisis cycle. 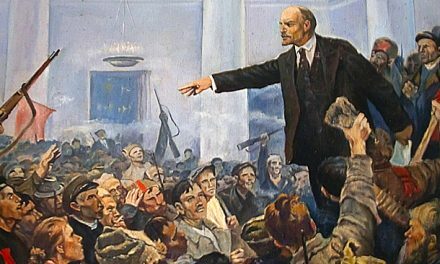 On the basis of the experience of socialist construction as a whole, he expressed his concern that over time forces that favour capitalist restoration will seek to overthrow the CP, to change its leading role today and to take power. 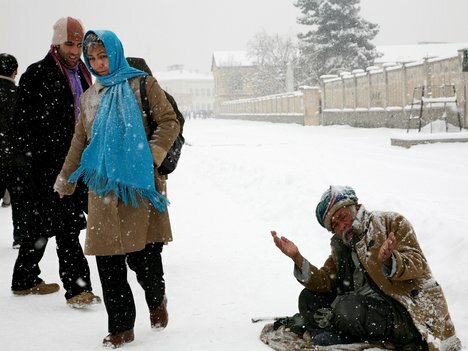 He also stressed the negative experience of the Greek people and other peoples in the EU regarding the management of the capitalist crisis, regardless of which government held the reins of bourgeois governance. During its stay in Hanoi, the delegation also had meetings with the delegation of the newspaper “Nan Zan” (“People”), the “Ho Chi Minh” Communist Youth Union, as well as with the Greek ambassador in Hanoi. During the visit to Ho Chi Minh City, which is the largest city in Vietnam, it met with Secretary of the City Committee of the CPV.The delegation of the KKE visited the mausoleum and memorial monument of the historic leader of Vietnam, Ho Chi Minh, where Dimitris Koutsoumpas laid a wreath. In Ho Chi Minh City (formerly Saigon) it visited places associated with history and struggles of the Vietnamese people, like the Cu Chi region where important battles between the Vietcong and the US and South Vietnamese armies. In this region, the delegation of the KKE visited the historical tunnels of Cu Chi, an enormous network of underground galleries extending more than 250 kilometres in the area of Ho Chi Minh City, which was created and used by the Vietnamese people in their struggle. Finally, the delegation of the CC of the KKE visited a rehabilitation and education centre for children with disabilities. D. Koutsoumpas noted that in Greece of the 250,000 children with disabilities and learning difficulties, at this moment no more than 20,000 children are in some public or private caregiving setting.